GODFREY TOWNSEND is the new guitarist for the Yardbirds. A favorite in the Classic Rock World, Godfrey has played with a range of greats from John Entwistle to Jack Bruce. In fact Eric Clapton's guitar technician, Lee Dickson commented to John Entwistle, "Hey John, come listen to this guy...he's got Clapton down better than Clapton!" Entwistle replied, "You twit!...that's MY guitar player!" Godfrey Townsend joins a lineup with innovative and legendary musicians- notably, of course the Yardbirds' leader/drummer/singer/co-founder Jim McCarty, bassist Kenny Aaronson (Bob Dylan, Hall & Oates, Billy Idol, Derringer, Joan Jett), singer/harpist/percussionist Myke Scavone (Ram Jam, The Doughboys), and lead singer/guitarist John Idan (who is on their 2003 CD "Birdland" album which features guest appearances from both Steve Vai and Slash). Godfrey's plays guitar, keyboards, sings, and is the music director of countless live performers, most notably his own "Clapton is God-frey" show and the Happy Together tour. A favorite in New York City's Max's Kansas City and the China Club scenes, Godfrey's been the guy that got famous rockers on stage to jam with the bands. After a stint in Las Vegas working with Mitch Ryder, Spencer Davis, and Joey Molland of Badfinger, he was recruited by John Entwistle of The Who, with whom he performed a half dozen tours, a studio album, and a live album. Godfrey went on to play with Alan Parsons, Todd Rundgren, Ann Wilson of Heart, Jack Bruce, Mark Farner, Christopher Cross, Flo and Eddie, and Dave Mason. Since the Yardbirds' birth from 1963 to 1968, and then its 2003 reformation, the group has been known for its incredible guitarists. In addition to Eric Clapton, Jeff Beck and Jimmy Page, plus rhythm guitarist/bassist Chris Dreja have contributed to the band's history. 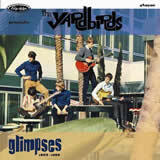 The Yardbirds are exclusively represented TCI (Talent Consultants International) for booking concerts. Goldmine Magazine stated, "the band's hallmark of top-notch musicianship remains. There are no passengers in this band." PRE-ORDER OUR NEW ALBUM AND BECOME PART OF THE PROCESS! When you order our new album, you become part of the process! Access exclusive content, merch and live experiences! Follow this link and make a pledge to this campaign and help make this studio album of all new original Yardbirds' material a reality. New York, NY (August 12, 2015)— After postponing a brief North American tour earlier this year, The Yardbirds are pleased to announce their 2015 Fall tour. 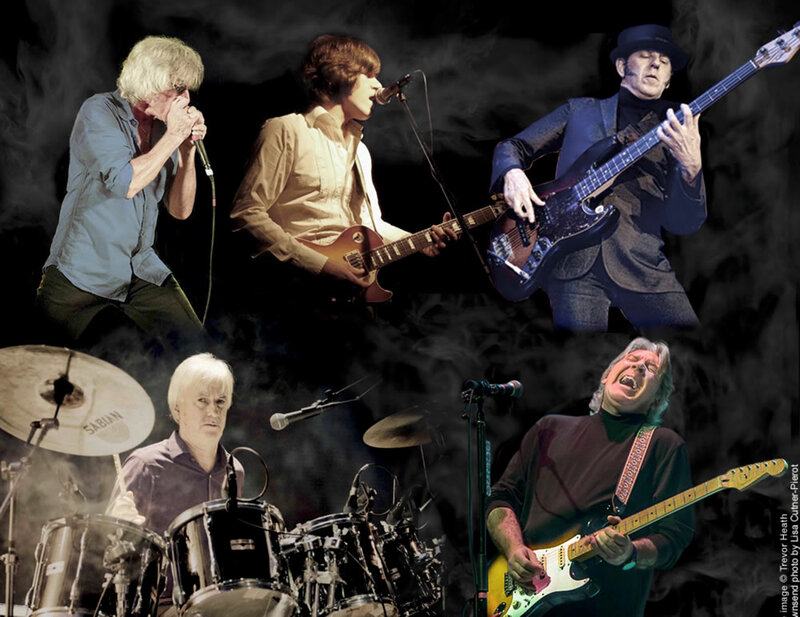 Kicking off on Friday, October 30 in Norfolk, CT, The Yardbirds – founding member and Rock and Roll Hall of Fame inductee Jim McCarty, renowned guitarist Johnny A (Peter Wolf, Bobby Whitlock), bassist Kenny Aaronson (Bob Dylan, Billy Idol), singer/blues harpist/percussionist Myke Scavone (Ram Jam & Doughboys), and guitarist/singer John Idan – will tour throughout October and November. Unfortunately, due to scheduling conflicts, guitarist Earl Slick will not be a part of this tour, as previously announced. 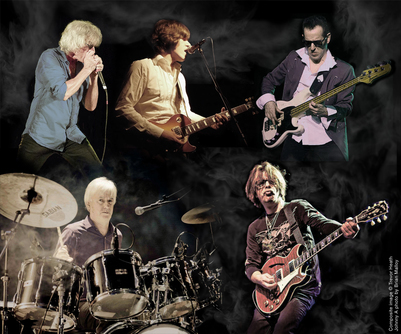 Formed in 1960s’ London, The Yardbirds boasted some of the most infamous guitarists of all time – Eric Clapton, Jeff Beck, and Jimmy Page. 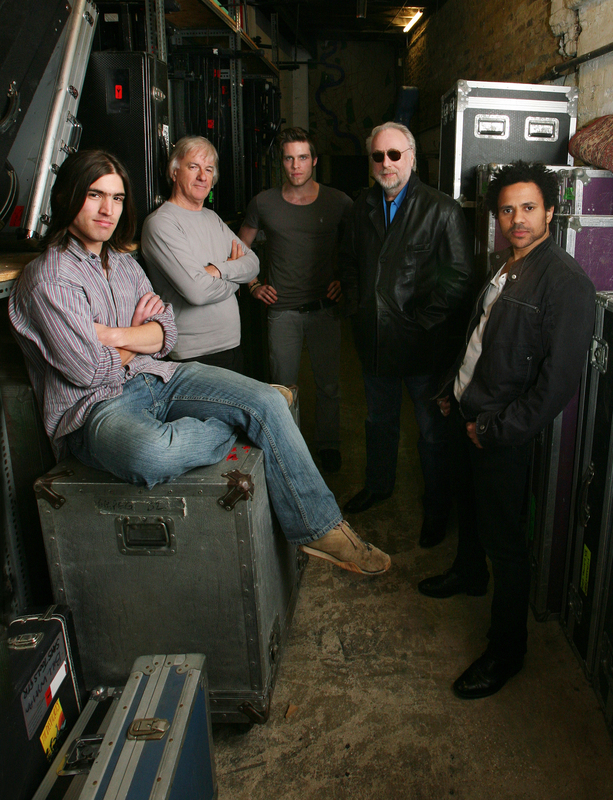 Co-founded by McCarty with singer Keith Relf, rhythm guitarist Chris Dreja, bassist Paul Samwell-Smith, and lead guitarist Top Topham, the band unleashed a string of hits, including “For Your Love,” “Over Under Sideways Down,” and “Heart Full Of Soul,” and in turn, influenced generations of musicians and fans. 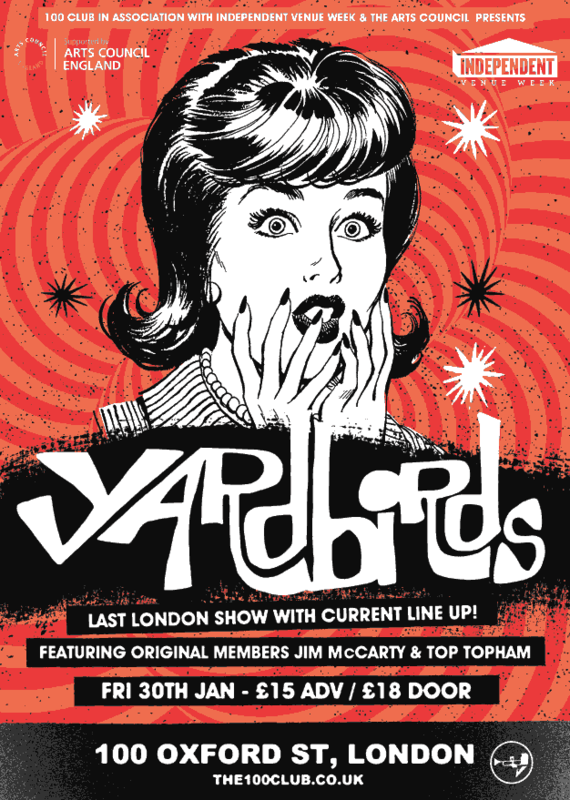 The Yardbirds play a special show at the 100 Club on January 30th as part of Independent Venue Week. This will be the last London show with the current line up which features original members Jim McCarty and Top Topham. The legendary rhythm and blues group have played the club several times over the last 25 years including the recording of a rare live album ‘Reunion Jam’ in 1992. 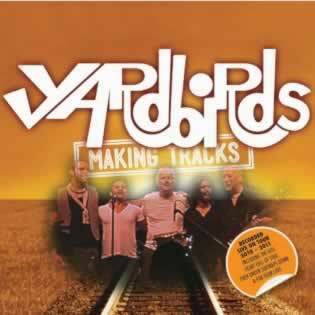 Yardbirds – Making Tracks (CD), September 2013. 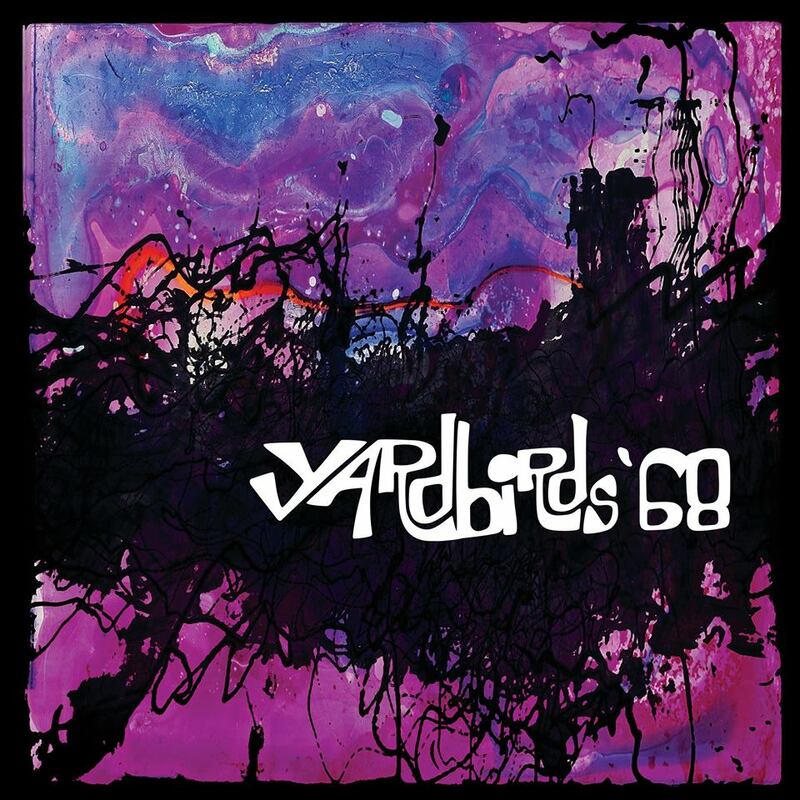 This album, released to celebrate the band’s 50th anniversary in 2013, chronicles the ultimate Yardbirds touring experience. 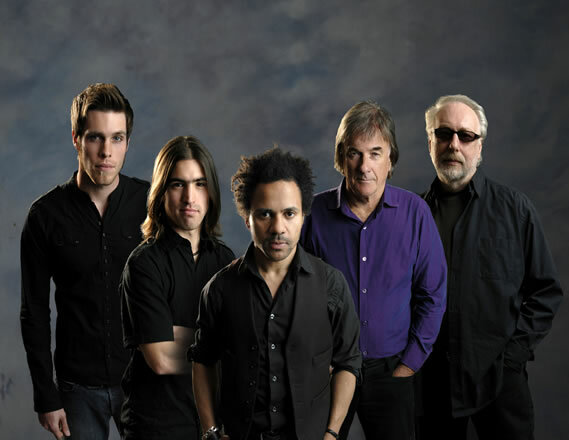 The band features original members Jim McCarty (drums) and Chris Dreja (rhythm guitar). Making Tracks features 19 songs from their various tours between 2010-11 and is the first time these live versions of the tracks have appeared (with the exception of Heart Full of Soul, Mystery of Being and For Your Love). Tinker Tailor Soldier Sailor has never previously been sung by any formation of the Yardbirds in their whole history. Includes a colour booklet featuring a short bio, band lineup and background photos. The digital album is available to pre-order through iTunes here and the physical album through Amazon UK here and Amazon.com here. The Yardbirds: Making Tracks: On Tour 2010-2012 [DVD] (MVD Visual) Maybe three or four years ago I spent a week or so near New Bedford, Mass. and devoted one night to seeing an unexpected concert featuring, er, "The Yardbirds" and "The Animals." And while both bands featured only remnants of the personnel that drove them in their prime—the Animals featured Eric Burdon, the Yardbirds only drummer Jim McCarty and bassist Chris Dreja—I was unexpectedly impressed by both. This Yardbirds set, shot more recently, features McCarty and Dreja accompanied by a seriously hot band that credibly performs the hits the original band made famous back in the '60s, and even without departed singer Keith Relf and the celebrated guitar trio of Eric Clapton/Jeff Beck/Jimmy Page, did not do their memory a disservice. A second disc, featuring various extras as well as a performance by McCarty's own band—post-Yardbirds, the man acquitted himself quite respectably in Renaissance, Shoot and Illusion—is surprisingly enjoyable as well. Though you may be too hip to frequent the sort of bands that these days play county fairs, as this set reveals, you might sometimes be surprised by what you see. 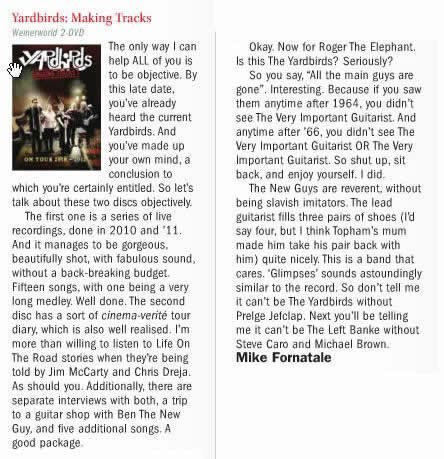 A well kept secret in contemporary music is the fact that the Yardbirds once again soar. Their music is so engrossing, the personalities so compelling, that no storytelling embellishments are needed. Spending time on the road and in the studio with the Yardbirds provided opportunities to record beyond their live performance. We were provided the rare chance to observe some of the nuts and bolts of life on the road and what a stunning amount of craft goes into a world class concert. The collected audio and video recordings on these discs represent more than entertainment. These songs and shared moments with the Yardbirds are a direct link between the history and the future of rock n roll. If rock n roll is a laboratory for new ideas and sounds, mutated with traditional modes, then are the Yardbirds not the greatest and maddest of scientists. Still mixing the traditional with the outrageous, the new with the old. Just as the original outfit gave flight to Clapton, Beck and Page, today's Yardbirds give flight to a prodigiously talented flock in the form of Ben King, Andy Mitchell and Dave Smale. Jim McCarty and Chris Dreja sure know how to put a band together. A review of a new compilation, "Glimpses"
Recent review from "Record Collector". Click here to view full size image. I'd like to start the year by wishing you all a very Happy New Year. I'm very pleased to announce that I'll be playing with the Yardbirds very shortly on a tour in the US. We begin in on the 1st February in Buffalo - the rest of the dates are below. Our lineup includes myself, vocalist Andy Mitchell, whose sound is straight out of the mid-‘50s Chicago school of blues, guitarist Ben King who has garnered a reputation as one of hottest, most tasteful young guitar players around and bassist David Smale (a much-respected and admired UK-based musician). Sadly, Chris (Dreja), guitarist and co-founder, is recuperating at home after a recent illness and regrets that he won’t be able to be a part of this short tour. He thanks all his fans for their good wishes and looks forward to seeing them again very soon. 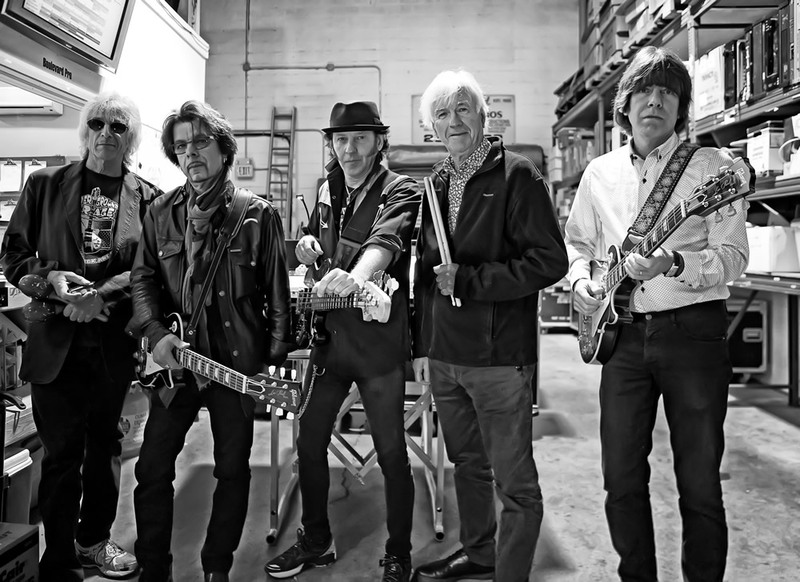 The Yardbirds will co-bill with Vanilla Fudge at the venues listed on our tour page in February 2012. Easy Action UK Records has put together a fabulous 5 CD box set complete with rarities and a booklet covering all the various lineups in the 1960s. It's all beautifully designed and packaged - who knows, a collectors' item of the future! The Yardbirds: guitarist Chris Dreja, drummer Jim McCarty, bassist David Smale, singer Andy Mitchell, and guitarist Ben King have joined together to state, "We have heard NUMEROUS rumors THAT ZepFest, WHICH IS SCHEDULED TO BE HELD at National Harbor, the weekend of May 27, 28, and 29, HAS BEEN CANCELED. HOWEVER, DESPITE OUR REPEATED REQUESTS, THE PROMOTERS HAVE FAILED TO CONFIRM OR DENY THE RUMORS. "WE AWAIT WORD FROM THE ZEPFEST PROMOTERS. ONLY THEY CAN CONFIRM OR DENY WHETHER the rumours OF ZEPFEST'S DEMISE are TRUE OR untrue. WE HAVE BEEN LOOKING FORWARD TO PLAYING THE FESTIVAL AND REMAIN READY TO DO SO. WE CALL UPON THE ZEPFEST PROMOTERS TO SET THE RECORD STRAIGHT, FOR PERFORMERS AND FANS ALIKE." 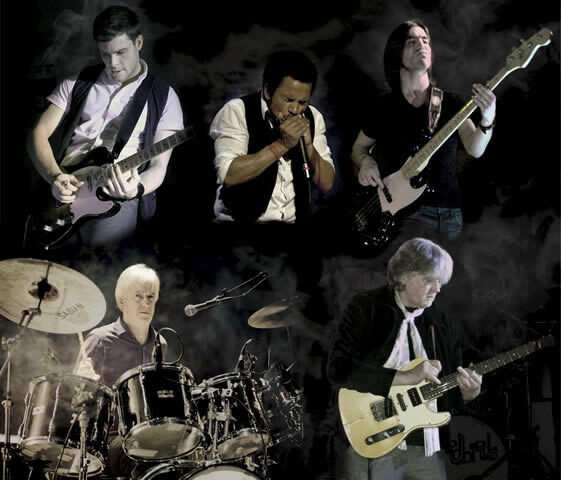 The Yardbirds have a Tour in France with John Mayall, in October 2010. It's the first ever time that the Yardbirds have toured with John, even though they have shared the bill recently in the US. To go with this tour, there has recently been a translation of Greg Russo`s book on the Yardbirds, Yardbirds: the Ultimate Rave-up into French. Two fantastic musicians, both from the UK, have now joined forces with the band, heralding in a new musical era for the Yardbirds. Andy Mitchell, a powerful singer, songwriter and formidable acoustic guitar player is the new lead vocalist. Andy also plays harmonica with an economical style reminiscent of the original bands sound. David Smale is a brilliant new generation bass player. His joining, bring both power and imagination to an all important rhythm section. 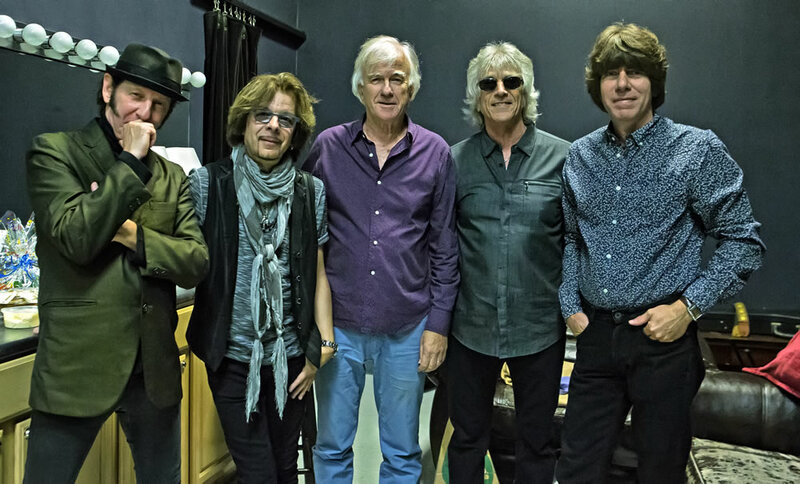 The combination of skills together with these new members on board will enhance the Yardbirds’ legendary material and expand the musical direction, as have other gifted players who have participated in the bands past. 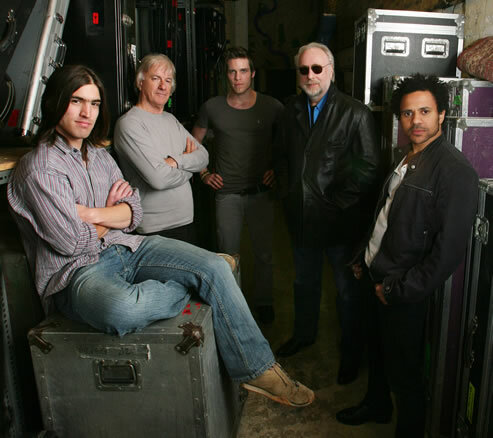 The Yardbirds are: Jim McCarty drums, Ben King lead guitar, Chris Dreja rhythm guitar, Andy Mitchell lead vocals/harmonica, David Smale bass guitar. The original version of "Over Under Sideways Down" is featured in the new Hollywood movie "Observe and Report" starring Seth Rogan and Anna Faris. 19 Songs including Yardbirds classics! The cd will be available in the U.S. at Music Today (www.musictoday.com) and sold at upcoming Yardbirds live performances. Digital downloads will be available at iTunes and all other online music stores.